How do I import my guests from an Excel file? If you have a CSV file of your contacts you can easily upload the list to Punchbowl. To upload your file, create an event, design your invitation, and follow the steps until you reach the Add Guests page. On the Add Guests page, choose Import Contacts. Then select the Upload a file option. If you are having trouble: The most common issue when uploading is that the CSV file is missing the column titles. 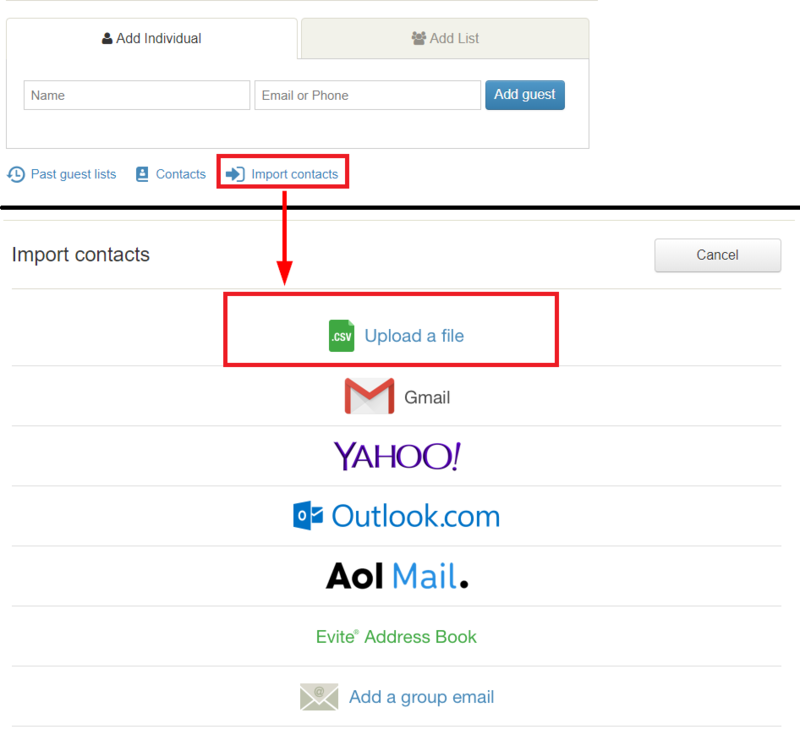 The file will need to have at least one column with the title "Email Address" or "Phone Number". Open your file in Excel and make sure to add one of these column titles if they are not already there. Other columns titles "First Name" and "Last Name" will also be imported if present. These column titles must be in the cells at the very top of the spreadsheet. After all of the column titles are in place, try uploading again. If you continue to have trouble, feel free to email us for further assistance. Make sure to attach the file that is giving you trouble. To create a CSV file from Excel: First, open the spreadsheet in Excel. From the "File" menu, choose "Save As", and then change the "Save as type" to "CSV (Comma delimited) (*.CSV)". Click Save. Now you are ready to upload the CSV file.